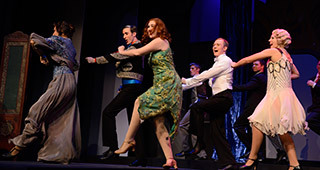 Students studying theatre arts and dance at Rollins enjoy state-of-the-art facilities. 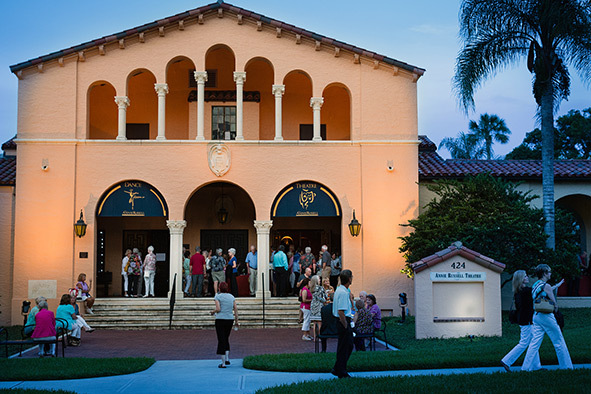 Provides a home to our movement courses and serves as additional rehearsal space for mainstage productions. Built in 2005, the costume and design studios provides extensive warehouse space and state-of-the-art design, drafting, and building equipment. The scene shop of the Annie Russell Theatre is over 3,000 sq. ft. and features a full complement of woodworking tools along with basic metalworking capability. The shop also contains a motorized paint frame, allowing for the painting of full size scenic drops. Pneumatic systems are available for the automation of scenic elements. 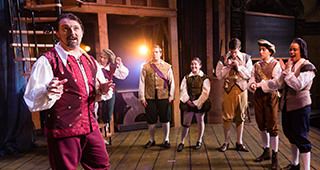 The shop is also equipped to work with plastics, foams and other materials in the creation of scenery and properties for MainStage productions.